Tucked away on Morgan Creek lies a modernist jewel awaiting discovery. 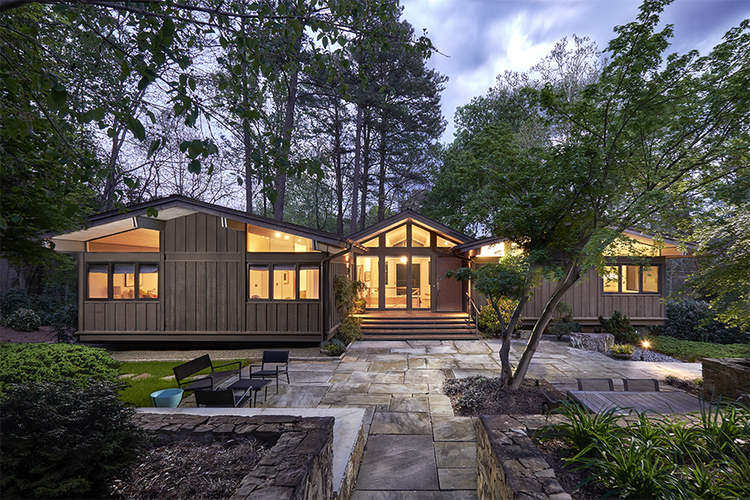 Originally commissioned by legendary UNC basketball coach Dean Smith, this quietly sophisticated house designed by Arthur Cogswell has been meticulously and thoughtfully renovated for today's buyer. Architect Phil Szostak and interiors guru Cindy Spuria have worked their magic; paying homage to the original design while breathing new life into this home. Sited on over an acre with spectacular landscaping, this is truly not to missed!